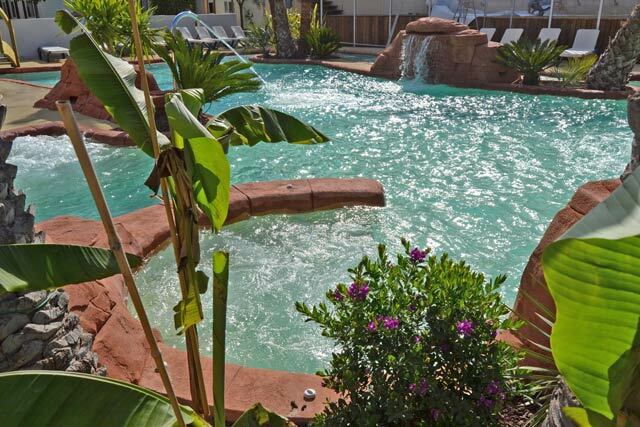 The holidays are finally here ! 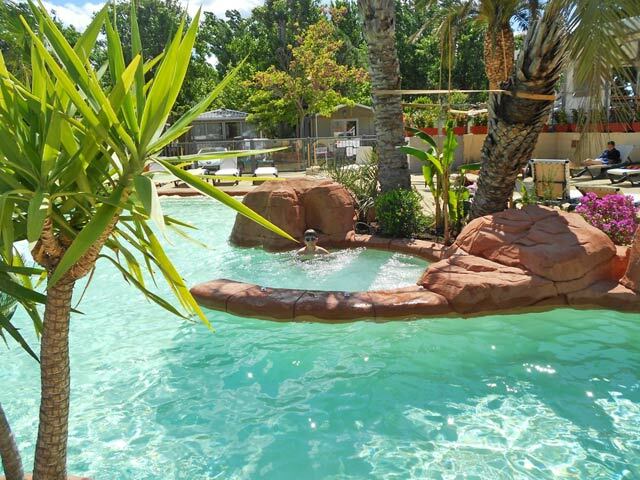 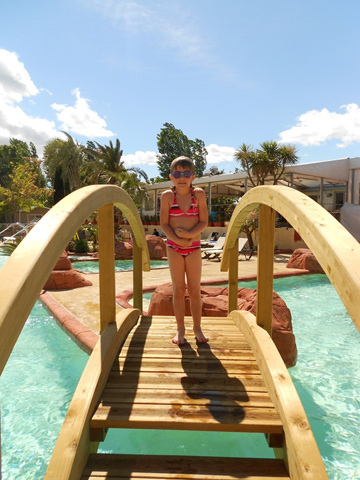 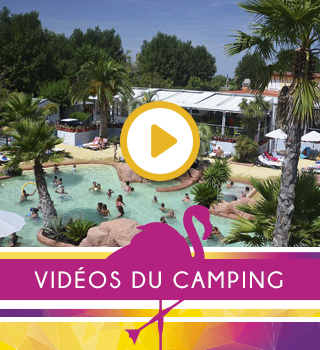 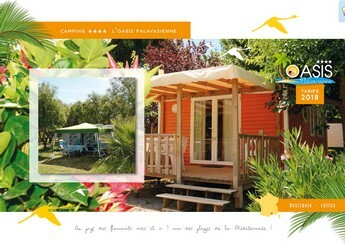 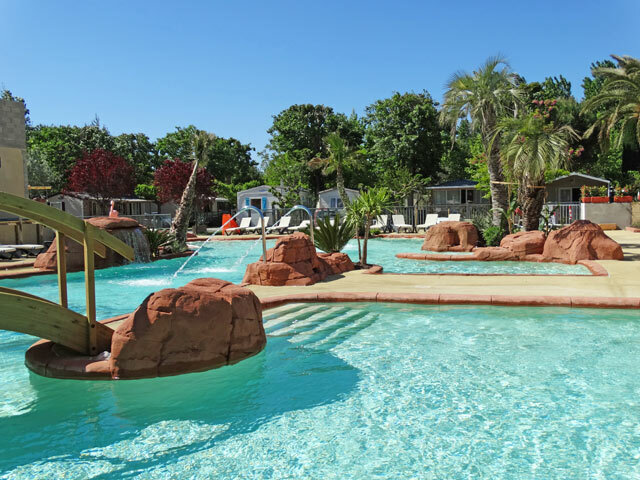 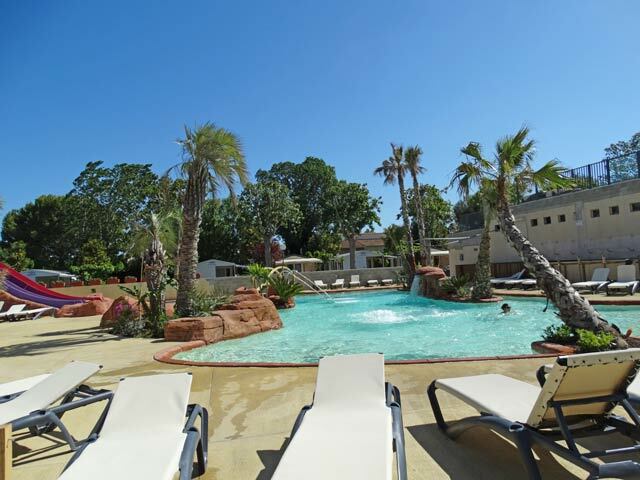 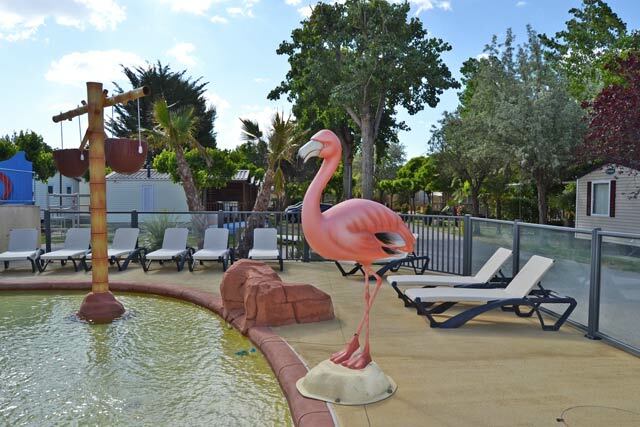 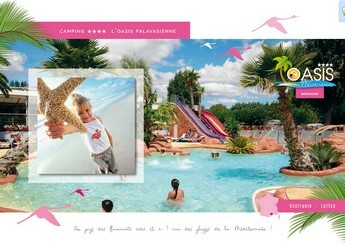 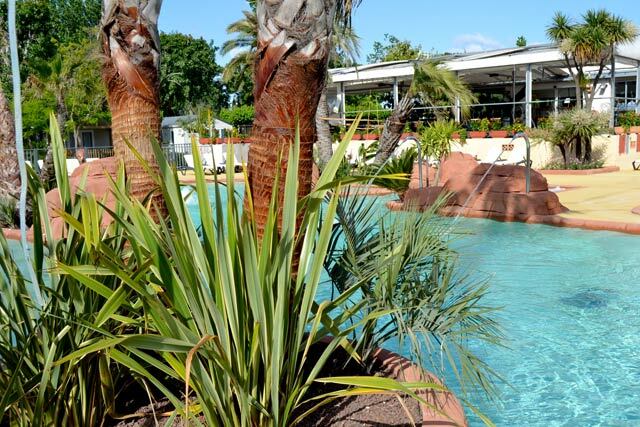 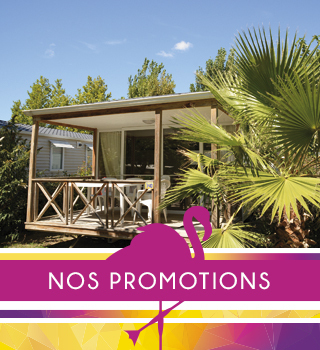 You, finally hearing the cicada’ sing while the sun tans your skin softly and the salty air from the sea perfumes the atmosphere... no doubt, you are on holiday in Languedoc Roussillon at the L’Oasis Palavasienne campsite in Palavas Les Flots ! 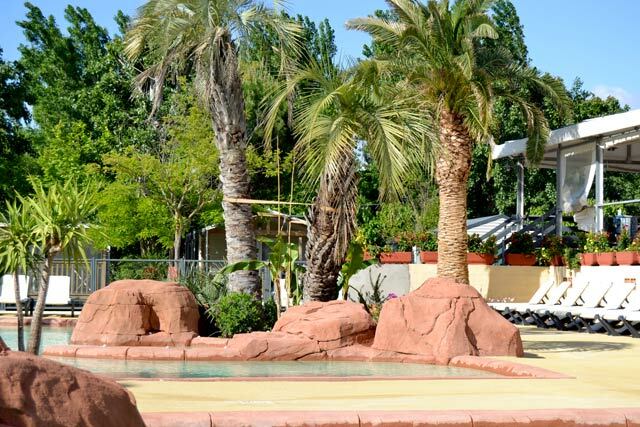 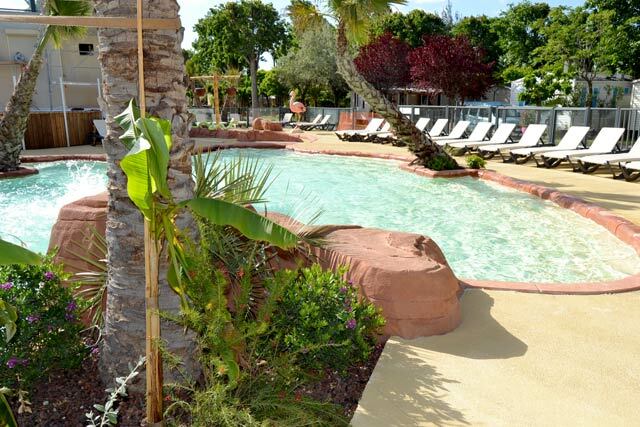 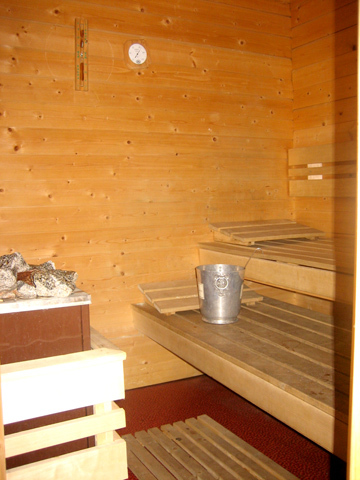 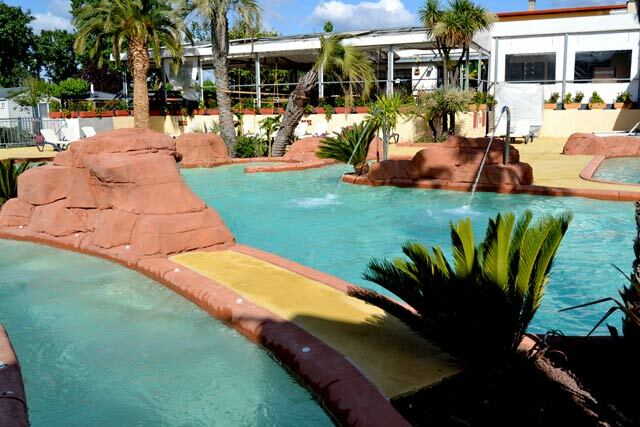 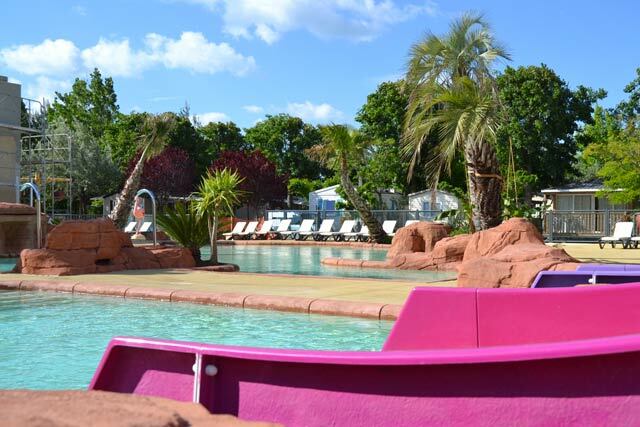 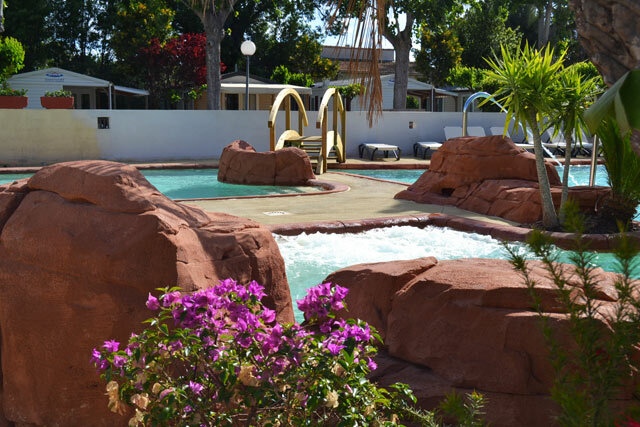 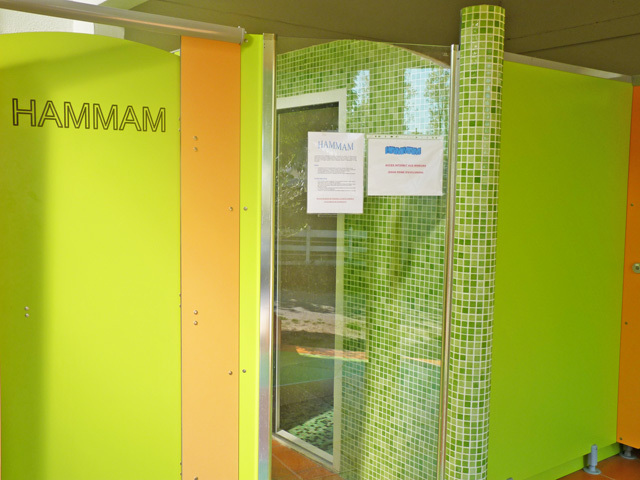 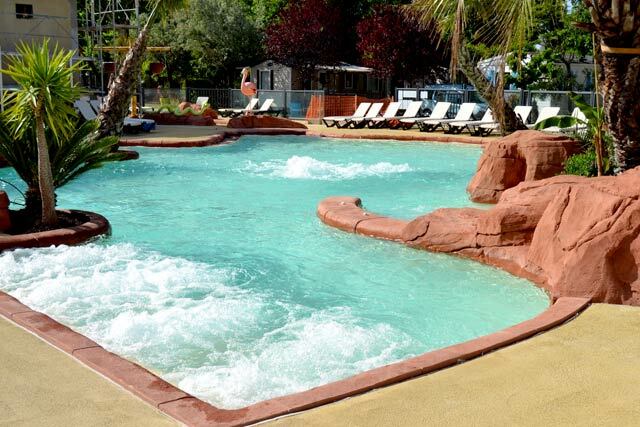 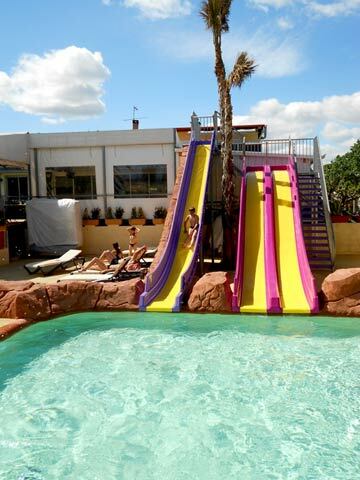 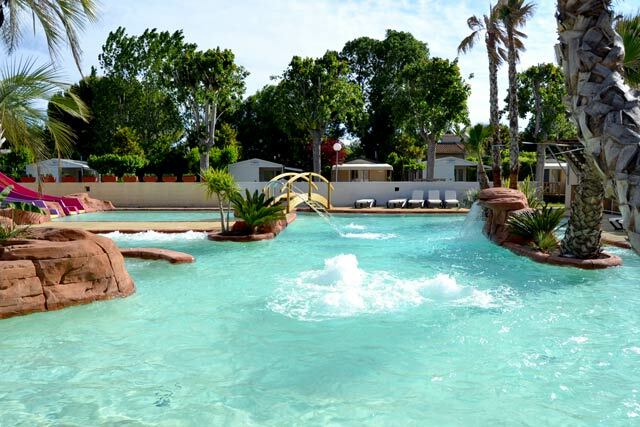 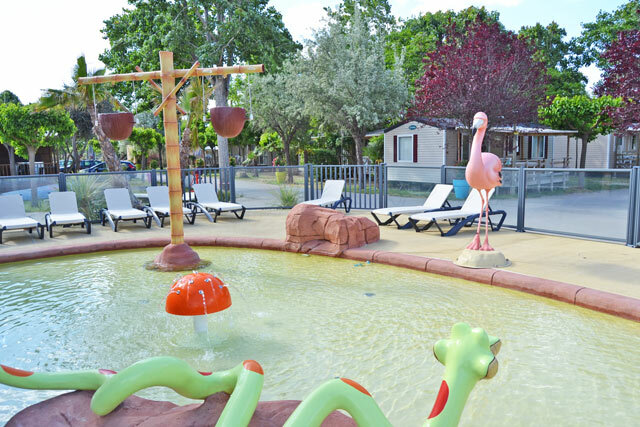 Our complex includes a water-slide and one paddling pool as well as the famous « mushroom’s shower ». 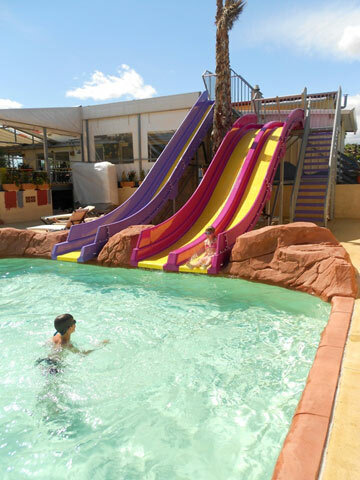 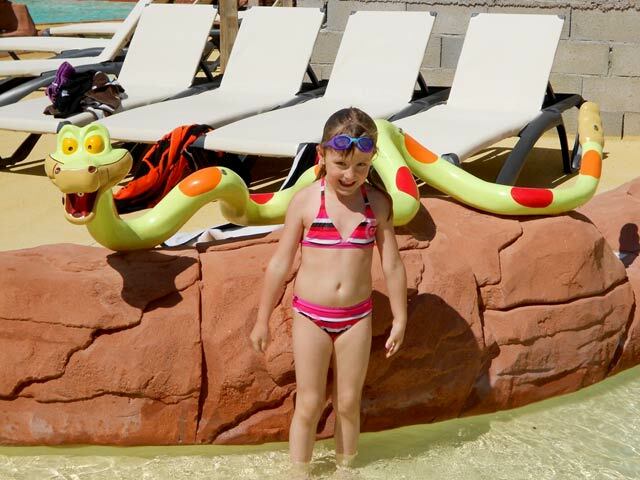 The little campers can splash around, entirely safe having crazy fun! 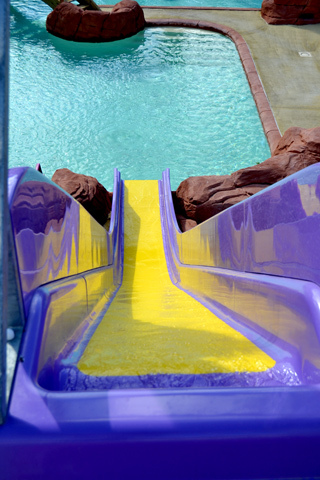 For your safety and comfort, a lifeguard will be present in July and August . 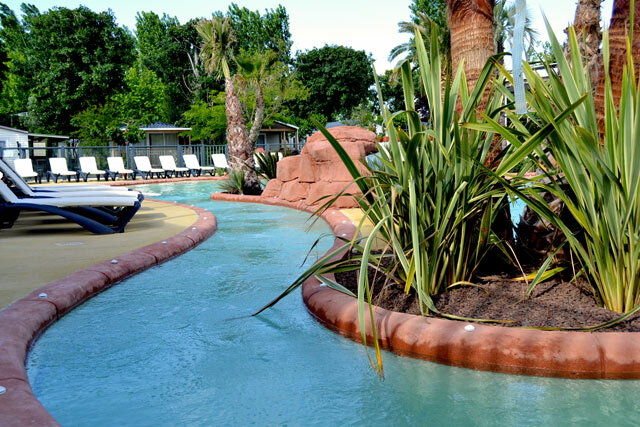 Important information : For the comfort and the health of everybody, only speedos or swimming-trunks are allowed within the water-complex. 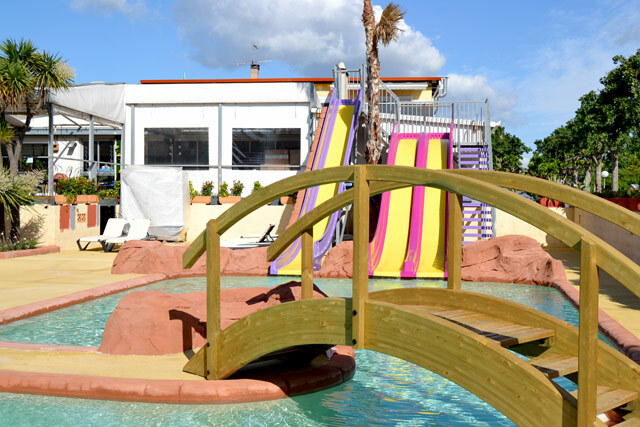 Only persons wearing the campsite’s wristbands will access to the pool area.